Home Childrens' Theatre Greek Gods, roller skates and leg warmers – ByteSized Productions Xanadu Jr.
Xanadu Jr, the hilarious send up of the 1980 movie of the same name, made famous by such world renowned show biz identities as Olivia Newton John and dance legend Gene Kelly, is ByteSized Productions major musical for 2018. The choice of Xanadu Jr. by ByteSized, the youth wing of the Albury Wodonga Theatre Company, is a step away from previous hugely successful shows which have focussed on Disney productions (Beauty and the Beast Jr., The Little Mermaid Jr., Peter Pan Jr. and Alladin Jr.) or Dreamworks musicals (Shrek Jr). While Xanadu Jr. may be a less well known musical, the choice was deliberate say co-directors Lachlan Murray and Lauren Schmutter, to allow the young cast to develop their own characters without being influenced by movie versions of the shows. While Xanadu Jr. was born of the 1980 movie, the script is entirely rewritten for the stage keeping, and adding to, the fabulous music, outrageous and over the top humour and story line (great for kids and adults alike), resulting in an unlikely mix of 1980’s style and kitch, combined with a modern take on Greek gods, muses – and flashbacks to the 1940’s (creating a particular challenge for the huge team of costume and prop designers involved in the show). Xanadu Jr. is set in 1980, on Venice Beach, California, where out of work artist Sonny Malone (Kobey Hudec) becomes frustrated with the mural he has painted of the nine muses of Greek mythology. Why Sonny chooses the Greek mythological Muses as his subject is unknown, but it does inspire an actual appearance of the Muses. Clio (Ellie Constable), the Muse of History, becomes romantically linked with Sonny. Of course she can’t just walk up to him and say, “Hello, I’m a Greek muse” without him running the other way, so Clio assumes a new identity: Kira, complete with roller skates and leg warmers (it is 1980 after all), and an Australian accent – a tribute to Olivia Newton-John who starred in the 1980 film. Kira encourages Sonny to realise his dream of opening a roller disco in an abandoned theatre owned by real estate magnate Danny Maguire (Mitch Clarke). As the story progresses, Sonny falls for Kira, resulting in tremendous jealousy in Melpomene (Audrey Varghese), the Muse of Tragedy, and her off sider Calliope (Joely Schmutter), the Muse of Epics. Hell hath no fury like two sisters scorned, and the interplay between these characters results in hilarious dialogue and characterisations, and the opportunity to sing “Evil Woman” – one of the most memorable songs of the show. To allow as many young performers the opportunity to be in the show, Xanadu Jr. is deliberately written to include a large Greek chorus (a technique used for thousands of years) and the audition team cast as many as possible, and although the ages of the cast range greatly, musical talent of the highest quality is common in all. The score has many multi part harmonies and is something co director and music director Schmutter (of Livid Production’s recent Les Miserables and Annie team) says the kids have worked hard to perfect. The whole cast – including the large Greek Chorus – in their 80’s gear! As with all ByteSized productions, movement and dance is central to the show, and choreographer Caitlin Clark has created an environment where the effect on stage will be just as spectacular as that which she created for Albury Wodonga Theatre Company’s recent sell out performances of Chicago, ensuring the action on stage will deliver the colour and movement that make ByteSized’s shows so engaging. 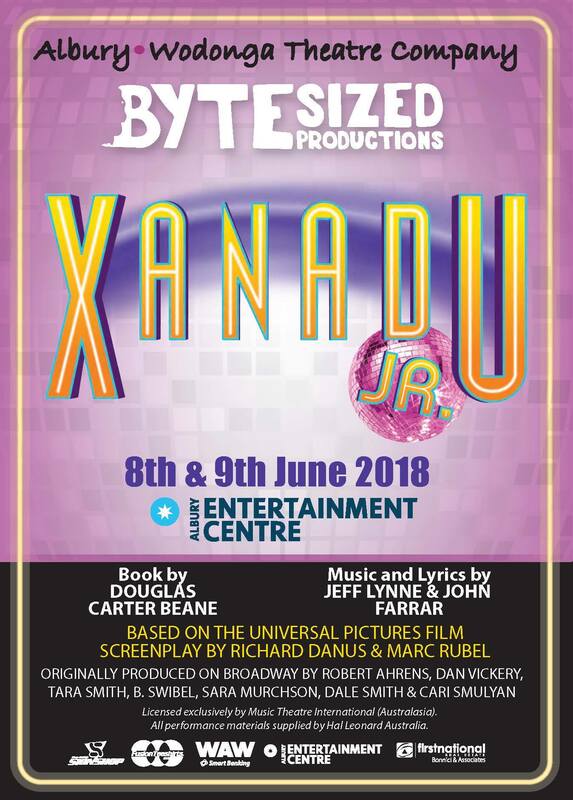 Xanadu Jr. might not be as well-known as Shrek or Beauty and the Beast, but it is a musical of great heart, humour, glitter and music, and has something for both adults and kids, even if many don’t remember what it was like in the 80’s! 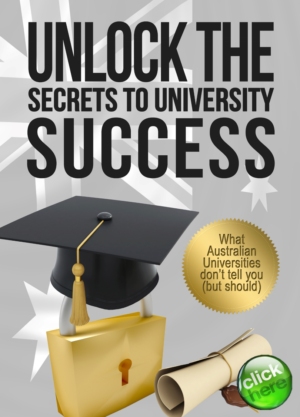 Show dates June 8 and 9 only – Albury Entertainment Centre.